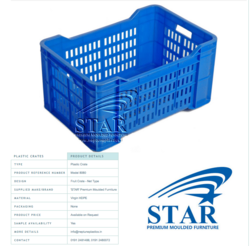 We manufacture 4 models of Plastic Crates. Our Crates are manufactured from 100% virgin material. Please visit our furniture & crate division for more information. 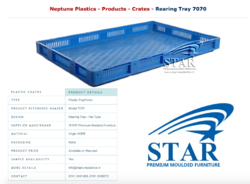 We are one of the leading companies engaged in offering a wide array of Closed Type Fruit Crate. These are developed using fine quality material and advanced technology to meet the diverse requirements of our clients. These are widely used for keeping fruits and are available in various sizes.Moreover, it can be availed at market leading prices. We are remarkable entity, engaged in offering superior quality HDPE Crate.